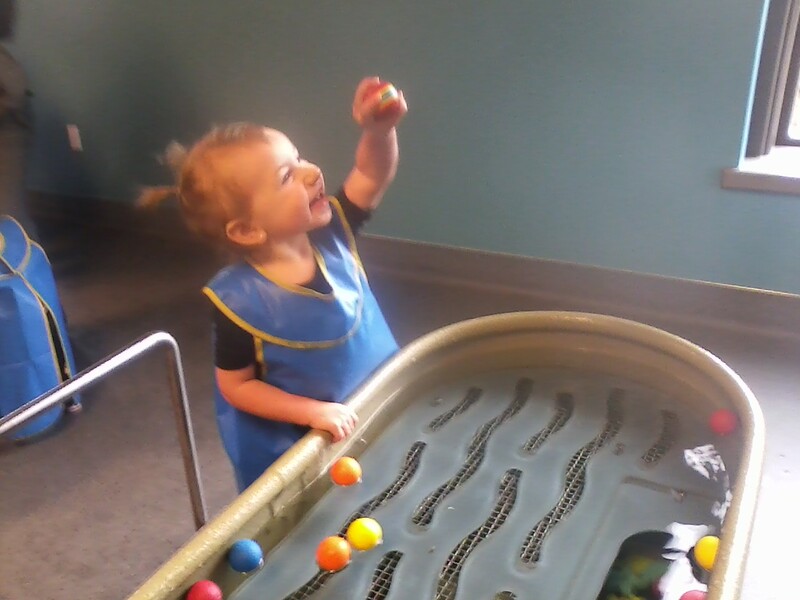 My bus goes right down to the Children’s Museum so we went to check it out a few days ago. I want to live there. It is the coolest. Besides the zoo of course. Mama and I walked out of our house to our bus stop. When we got on the bus I got my own seat and I could look out the window. I saw a big garage for fire trucks. We walked across when the walk man came on the cross box. So we were safe. Inside the museum was so beautiful! It was all shiny and full of exciting things to do. I ran straight to the water works, where there were balls and animals and all kind of wonderful toys to play in a big river. I collected up lots of balls and put them in another pool. I could look in a window to see under water. We had a snack in the cafe and then went back to play. This time I picked dramatic play. I made Mama a pink strawberry soup. Stir stir stir! Then we went over to the climbing structures, which had bikes and mailboxes and wheels and all kind of great things. I had to have a nap.